Utah’s Senators have introduced legislation that would excuse the state from future designations through the Antiquities Act. Senator Mike Lee re-introduced the Protect Utah’s Rural Economy (PURE) Act on Thursday afternoon. Senator Lee said the PURE Act would “give Utah’s rural communities a real voice in local land management policies, a voice they currently do not have today.” Lee explained the act would prevent the president from establishing or expanding a national monument in Utah unless the proposed monument has been authorized by an act of Congress and Utah’s state legislature. The statement from Senator Lee noted that both Alaska and Wyoming are currently excluded from future Antiquities Act designations. 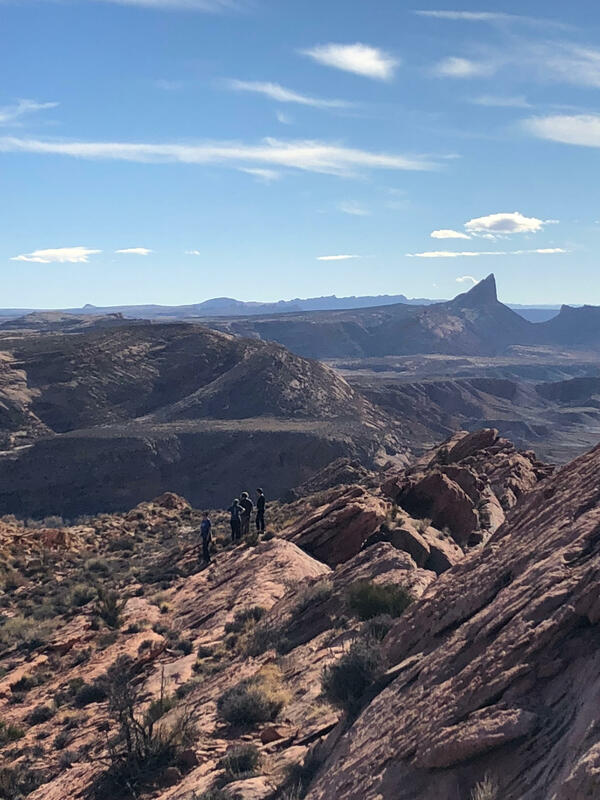 Southern Utah Wilderness Alliance’s executive director Scott Groene gave his thoughts on the Utah Senator’s decision to reintroduce the PURE act. Ashley Soltysiak is the Chapter Director for the Utah Sierra Club she also voiced her displeasure with the act. The proposed legislation comes in part in response to President Obama’s 2016 designation of the Bears Ears National Monument. The 1.35-million-acre monument, over 9 times the size of Zion’s National Park, was later reduced in size to 200,000 acres. The Bears Ears and Grand Staircase Escalante National Monument were both reduced in size in December 2017 by President Trump. Several lawsuits have since been filed against the Trump administration’s monument reductions. The Southern Utah Wilderness Alliance is one several environmental organizations suing the Trump administration. The Public Lands Council is an advocacy group that represents the interests of cattle and sheep ranchers who graze on public lands. The organization is celebrating their 50th anniversary this year and will do so in Park City. Public Lands Council President Dave Eliason told KPCW what it is that the organization does. President Trump made a visit to Utah Monday, staying less than three hours. His stay was to honor a promise he made to Utah senator Orrin Hatch that he would "fix it" -- "it" being the size of two National Monuments in Utah, Bears Ears and Grand Staircase Escalante. KPCW's Leslie Thatcher has more.